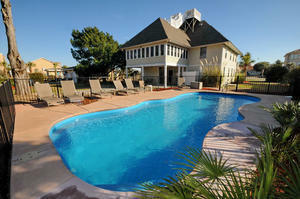 You are picking the courses that you want to play for your Myrtle Beach golf package. If you are flying in, you might want to think about playing a Myrtle Beach golf course near the airport on your first and/or last day of your golfing extravaganza. Many golfers can’t wait to get their Myrtle Beach golf package started and want to make a tee time on their first day as soon as they can drive away from the airport. Some of the Myrtle Beach golf courses near the airport that we recommend to start or finish your Myrtle Beach golf packages are listed below. You can’t get any closer than Whispering Pines when looking for Myrtle Beach golf near the airport. It backs up to the airport and some of the holes even border the airport. Couple things about this Myrtle Beach golf course near the airport. The course will not take tee times after 1:30ish during the winter, so if your flight arrives after 12:30, you may want to look elsewhere for your first round of golf. Be prepared for the airplanes and the noise overhead. Obviously, this Myrtle Beach golf course is beside the airport and the flight patterns fly directly overhead. This is a great Myrtle Beach golf course near the airport. When we say near the airport, it’s not as close as Whispering Pines, but not far down 501. Just a few miles down 501, you will be able to arrive at this course within 10 minutes from the airport – depending on the amount of traffic. This Myrtle Beach golf course near the airport is a favorite of many golfers to play when either arriving or departing from the Grand Strand. This Myrtle Beach golf course near the airport is also located just down 501 and about 10 minutes or so from the airport. This is Myrtle Beach golf near the airport and yet, still far enough to give you the tranquility of the beach without the plane noise. River Oaks is also home to a golf school, so if you want to take a refresher lesson to start your Myrtle Beach golf package, you have come to the right place to start your golf getaway. Legends is the farthest golf course listed here, but is also home to a golf complex consisting of a couple Myrtle Beach golf courses modeled after golf overseas. 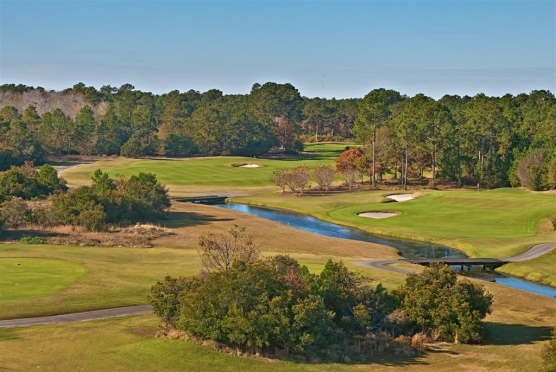 This Myrtle Beach golf course near the airport is one of the favorites to include in a Myrtle Beach golf package due to the “freebies” that can come along with the tee times. Free lunch, breakfast and beer or soda after a long flight may be just what you need to start your golf vacation with your buddies. Ask one of our golf specialists about Myrtle Beach golf near the airport and get your Myrtle Beach golf package started as soon as you can!